Reel Rock 10 had a similar problem. There were almost no women in the entire line-up and those that were there were -- at best -- not much more than props. And -- at worst -- were portrayed in a stereotypical or negative way... One could even take this further and argue that at least one of the films had a light streak of misogyny running through it. And while I don't have any first hand evidence that there was widespread criticism of Reel Rock 10, there was certainly some. And, like #OscarsSoWhite, it had an impact. 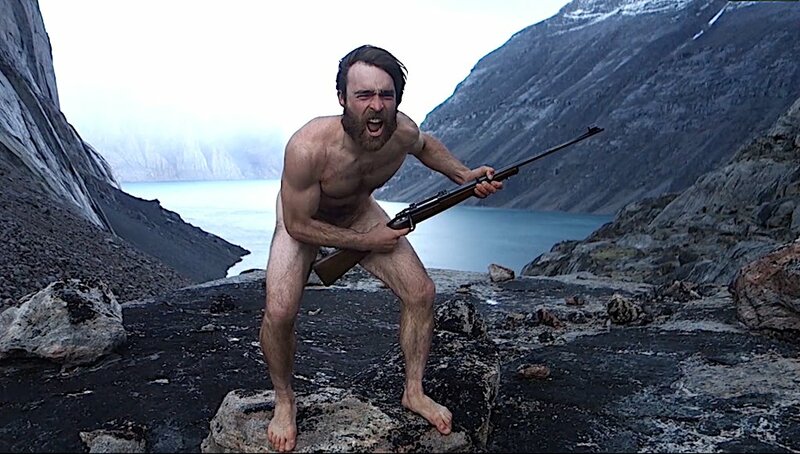 Once again, criticism pushed a group of filmmakers to do better. 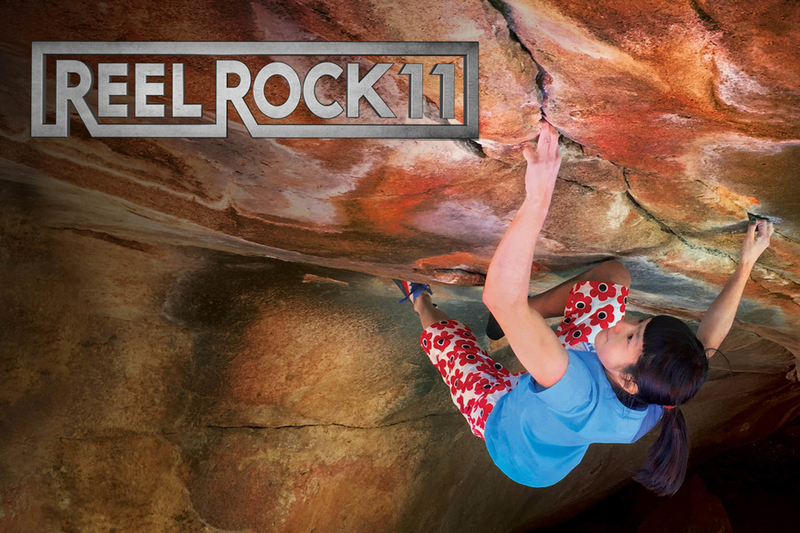 And I'm very happy to say that Reel Rock 11 is better. It is a substantially better offering and it fits well into the cannon of previous Reel Rock films as one of the stronger collections. Following is a quick breakdown of the films. Each section is headed by the synopsis provided on the Reel Rock website. Following that are a few thoughts. 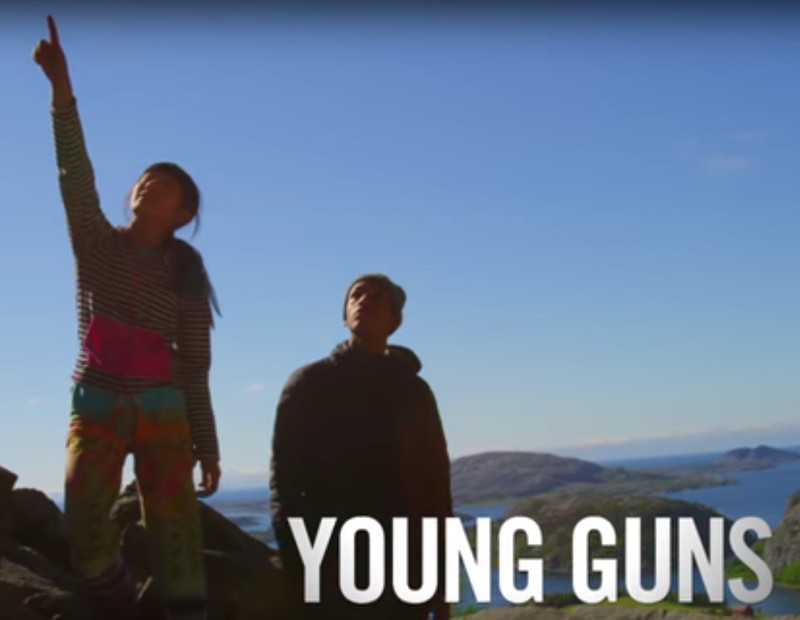 Ashima Shiraishi and Kai Lightner are two of brightest lights in rock climbing today. Each of them started climbing at a very young age in an urban setting and then advanced their arts by competing and operating in an outdoor setting. Young Guns chronicles a trip to Norway with the pair and touches on several other places where they climb and how they've grown. These two young people are amazing athletes and will likely lead the charge for the American climbing team in the 2020 Olympics in Tokyo. Ashima and Kai are not white kids from the suburbs. Instead, Ashima is Japanese-American and Kai is African-American. One of the great values these two at the forefront of hard climbing, is that young minorities -- individuals who might think that climbing is just for white people -- can see a pair like this and say, "they look like me. And if they look like me, then maybe I can do this too...!" So much for #OscarsSoWhite. Good job, Reel Rock! Will Stanhope and Matt Segal are both throwbacks to a different age. They live the lives of dirtbag climbers and truly get after it. And unlike some of the other world-class climbers in this day and age, they don't have coaches or training plans, they just get out there and do it. And they do it with dirtbag style...! We meet the pair in Canada's Bugaboo Provincial Park, where they are doing battle with the Tom Egan Memorial Route, an A3 crack climb on the Snowpatch Spire. Like last year's celebrated ascent of the Dawn Wall in Yosemite, this particular route requires a great deal of repetitive work. The pair becomes intimately acquainted with every hold on the route as they work it day-in and day-out over four summer seasons. I have personally worked with both Matt and Will at the Red Rock Rendezvous over the years and have found them to be extremely laid back individuals. Indeed, in the film they feel just as laid back as they sit on a portaledge and slowly down an entire bottle of whiskey (we assume over a period of days, but that's not clear). This image that they portray is clearly a lie. These men are incredibly driven climbers that are capable of holding onto a singular focus over a period of years. Their story and the story of their ongoing battle with the route is inspiring. The focal point of Brette is Brette Herrington, a Squamish-based climber that is starting to make a name for herself. The film chronicles a year of Brette's life as she travels around and plays in the mountains. Unfortunately, nearly every film festival has one of those films in it. There's nothing wrong with the film. Brette Harrington is certainly a worthy subject, but the lack of a central theme in the film or a specific ascent that she's vying for make the film enjoyable in the moment, but forgettable compared to the other films in this lineup. Mike Libecki is one of the most well-known expedition climbers anywhere. He is constantly on the move, exploring the most remote places possible on all seven of the continents. So how does someone like this raise a child? Is it possible to do multiple expeditions a year and to be a dad? 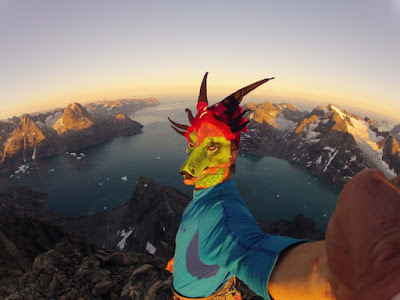 Mike Libecki likes wearing masks that correspond with the Chinese year for his summit shots. This film provides an intimate look at how Mike manages the two greatest passions of his life, his daughter and expeditions. Indeed, the film culminates in a communion between the two passions when he talks his daughter on a ski trip to Antarctica. Those of us who have children likely will have a special affinity for this film. The issues that Mike deals with are issues that we've dealt with. This profile of his and his daughter's lives show us at least one model for how to make a life like this work. And certainly, Mike's model won't work for everybody...or even most, but it still gives us an idea of what can be accomplished by someone who is dedicated to both a family and an adventure ideal. That alone, makes this film an important and enjoyable piece. Reel Rock films have a style and substance that feels...well it feels like Reel Rock. Dodo's Delight doesn't fit that format. Indeed the film felt a bit like an outlier. Stylistically, the film was different. The cast of characters were different. And the very expedition that was chronicled in the film felt different. Dodo's Delight was a standard adventure film, the kind that you might see at the 5Point Film Festival or at the Banff Film Festival, not at Reel Rock. But that's okay! There's nothing wrong with that at all. If Dodo's Delight were viewed at one of those festivals it would be a very strong piece. And it's certainly a strong piece here too. These guys really like acting crazy and singing. It's a lot of fun watching them on their adventure. The film chronicles the adventures of five men as they sing -- there's a lot of singing and music in this film -- as they travel and live together in a small sailboat, and as they climb a series of big walls on Baffin Island. Reel Rock's promo uses the word "rolicking" to describe this film. Rolicking is absolutely right. Watching people have fun on amazing adventures is one of the reasons that we watch these kinds of movies. We get to know a little cast of characters as they have their ups (and it's mostly ups in this film) and their downs. And we have a lot of fun in the process.